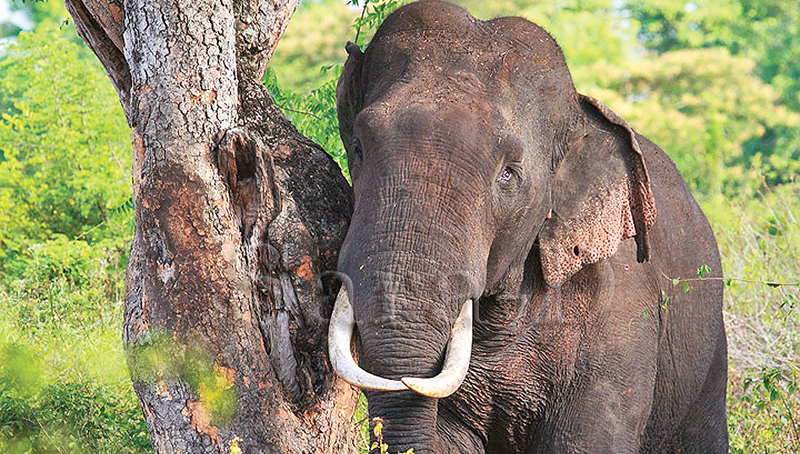 Police yesterday arrested six persons who were allegedly involved in the killing of the tusker known as Dala Poottuwa from Moragollagama in the Polpitigama Police division. According to Police sources , a special police team attached to the Nikaweratiya Division Crimes Investigation Division with the assistance of Abanpola Police made this arrest yesterday morning. The Police has also recovered saws, pendants, talisman made of ivory from their possession. Law and Order and Southern Development Minister Sagala Ratnayaka on Wednesday, had directed acting IGP C.D. Wickremaratne to place the investigations into the killings of Dala Poottuwa and other tuskers under the Criminal Investigations Department (CID), yesterday. Another tusker was also killed in the Thabbowa forest recently. In a separate incident, a baby elephant tethered to a tree was also found by the Police in the Katagamuwa area, Kataragama. Minister Ratnayaka ordered the Acting IGP to launch a comprehensive investigation into all these incidents and ascertain whether an organised criminal network was behind the chain of events.